The first Coast Guard commissioned officers, Ensign Grade Joseph C. Jenkins (???? - ????) and Lieutenant Junior Grade Clarence Samuels (June 11, 1900 - April 1983) on the deck of USS Sea Cloud (IX-99) in the North Atlantic. Jenkins was the first African-American Warrant Officer, commissioned on September 1, 1942. In April 1943, he attended Officer Candidate School at the Coast Guard Academy. The United States Coast Guard commissioned Jenkins a year before African-Americans were commissioned in the United States Navy. Samuels, a career Coastguardsman originally from Panama, commanded Patrol Boat AB-15 in the 1928. He was the Coast Guard's first African-American vessel captain in the 20th Century. After serving on Sea Cloud, he commanded Lightship No. 115 and USCGC Sweetgum (WLB-309) in Panama. USS Sea Cloud was a private yacht built as the four-masted bark Hussar in Kiel, Germany, in 1931. She was acquired by Ambassdor to the Soviet Union Joseph E. Davies in 1935, who renamed her Sea Cloud. Davies donated the yacht to the Navy in January 1942 for one dollar per year. Sea Cloud was altered with her masts cut down and a weather balloon platform added at the Coast Guard Yard. She was given a Coast Guard crew and performed as a weather ship, taking station in the North Atlantic, where its complement of civilian Weather Bureau crew members would radio weather reports to the United States every four hours. As part of a reorganization, she was transferred to the control of the Navy on April 9, 1943, but retained her Coast Guard crew. In December 1943, Lieutenant (later Commander) Carlton Skinner took command. Skinner observed qualified African-American crewmen on other ships limited in advancement by the Coast Guard to Mess ratings. Accordingly, in his next job as a public relations officer, Skinner recommended that the Coast Guard designate a ship and crew for racial integration, and that this "experiment" not be publicized. Accordingly, Skinner had no idea that he was to lead this experiment until twelve black seamen reported for duty, and twelve white seamen were detached. Soon twelve officers and fifty seamen, all African-Americans, were part of the total crew of 173. Initially the African-Americans were met with strong racial animosity and scorn, especially when the black crewmen were given previously restricted ratings. 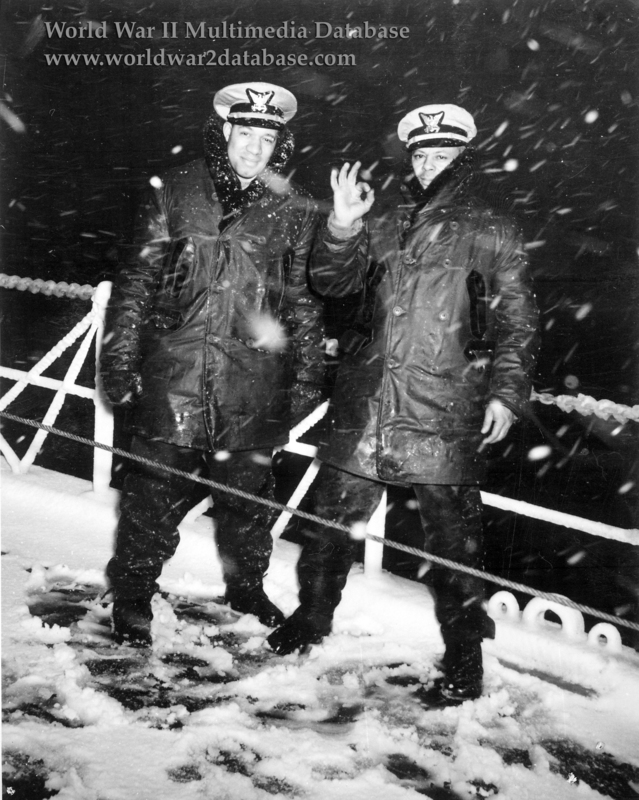 Months of monotonous sea duty in the frozen North Atlantic unified the crew. A single U-Boat encounter occurred in June 1944, for which USCGC Sea Cloud was credited with an assist in the sinking. The racial integration "experiment" was discontinued when USS Sea Cloud was decommissioned on November 13, 1944 when enough new construction was available to replace the aging cutter. African-American and female advancement programs were phased out that month throughout the United States Military after the press reported that white servicemen were sitting around idle. By August 1945 965 African-Americans held the rank or Petty or Warrant Officers in the United States Coast Guard. SS Sea Cloud was returned to her owner along with $175,000 for refurbishment to civilian standards. She had a long career as a private yacht and cruise ship.